Finally, here's a funkier, more unique style that may catch the eyes of those with a more offbeat style. There’s something so special about a pure, rose gold shade. It’s metallic and lively but it’s blush undertone provides a raw, feminine burst of fashion. 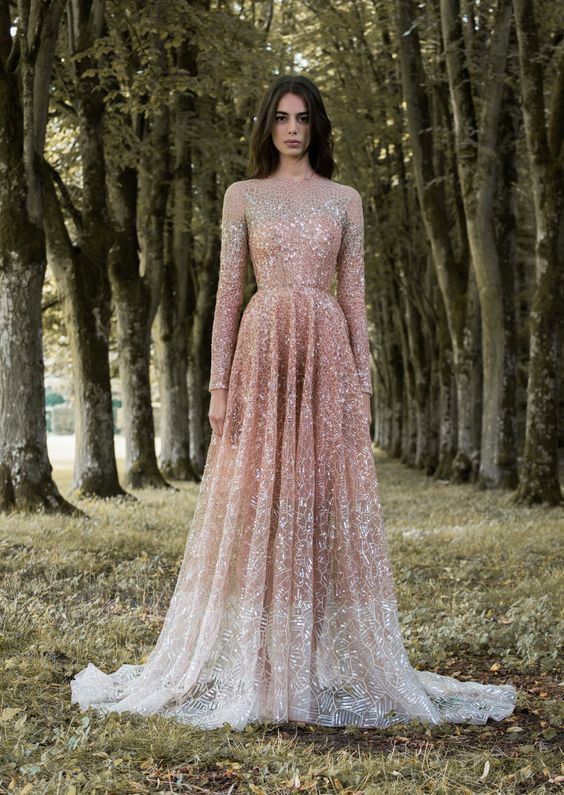 Check out these 10 rose gold gowns that you can renew your vows in and celebrate your love all over again. We're loving this soft and flowing, layered design, especially it's illusion neckline. 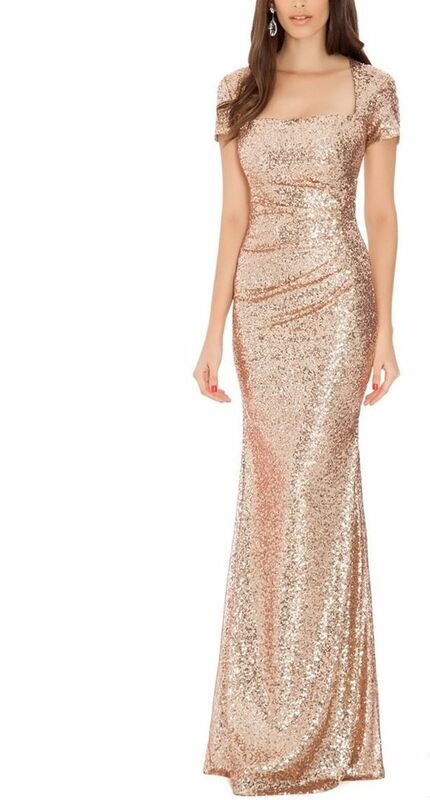 Turn up the heat in this gorgeous, metallic rose gold design that feels like a celebration all on its own. For a bit of drama with an equal amount of romance, slide into this gorgeous, gorgeous ball gown. If you're inspired by sparklers, you'll want to take a dive into this full-coverage stunner. 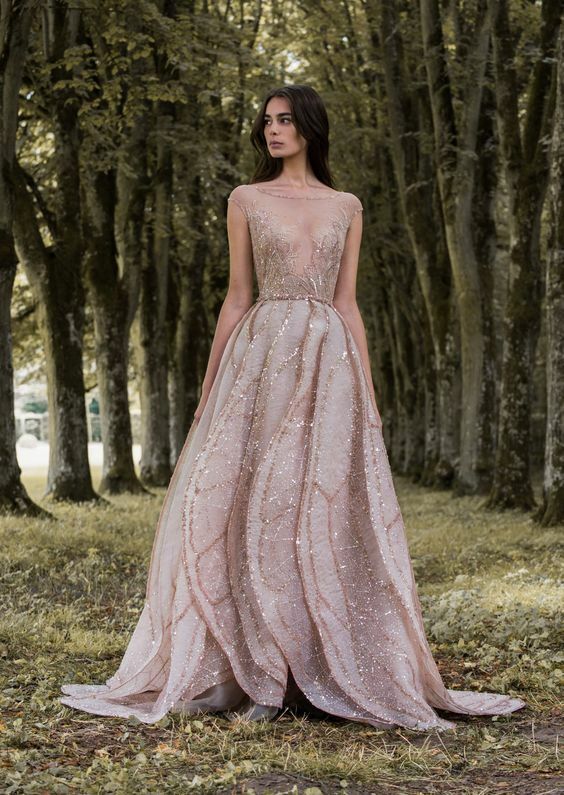 This lightly-dipped, rose gold gown has everything you need to feel like a bride again but also feel like your celebrating a milestone too. This color blocked beauty is a favorite of course because of it's simplicity yet original presence. Check out this sophisticated, glittering design that's perfect for a celebration! Here's another ball gown that's filled with a feminine, posh spirit that will fit perfectly down your 10-year vow renewal aisle. Maybe you want to dip yourself into some sparkles though, and if that's the case, you'll want to check out this elegant design. Fairly new to the wedding world but with lots of amazing experience, Katie Fong has some of the most modern and chic designs on the market. Take a peek at her brilliant mix of classic bridal style and fashion-forward energy.